The Turbulent Noise effect uses Perlin noise to create greyscale noise for organic-looking backgrounds, displacement maps, and textures, or to simulate clouds, fire, lava, steam, flowing water, or vapour. The Turbulent Noise effect models turbulent systems with smaller noise features moving more quickly than larger noise features. The Turbulent Noise effect creates smooth animations and takes less time to render than other noise or grain effects. Perlin: Creates pseudo random patterns. The greyscale contains a continuity between different tones of grey. Simplex: Creates a more contrasted noise pattern with more variation than Perlin. There is a smooth variation of intensity. Sinusoidal: Creates a repeated wavelike pattern. Sub Scaling: Applies Perlin noise twice. The second noise is added where dark areas appear in the original. The frequency of the second iteration is higher so the noise is smaller. Rocky: Uses the Perlin pattern but converts the very high and low values to more moderate values. For example, the whites become light greys and the blacks become dark greys. Small Bumps: Uses the Perlin pattern. The transitional grey areas between blacks and whites become inverted so they look like dark lines. The extremes, black and white areas, become whitish. Fractal Type Transforms the noise pattern, created by the Noise type and controls the way layers are composited. These are variations of the basic noise. Turbulent Twist: Applies a turbulent effect on the pattern so it changes the transition between black and white by adding more modulation. 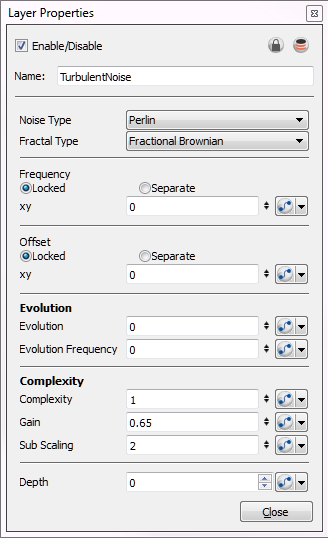 Fractional Brownian: Applies a basic application of noise and composites by adding subsequent layer with the Complexity parameter. Threshold: Changes the dark greys into black values so there is more black in the noise for higher contrast. Invert Threshold: Inverts all the values of the Threshold type so a negative image of it is created. Terrain: Adds contrast and converts the dark greys into white or light greys. Frequency The density of displacement appearing in the noise. A higher value produces a greater amount of displacement in a given area; a lower value produces a smaller amount. Offset Moves the entire image. Locked Applies parameter value while retaining the X and Y ratio. Separate Allows you to apply different parameter values to X and Y.
xy When locked, applies parameter values to both X and Y. When separated, allows you to apply different value to X and Y.
Evolution Determines the displacement pattern over time. Evolution Frequency: This factor makes the complexity iterations animate or transform at a higher speed. In other words, the second, third, etc. passes, controlled by the Complexity parameter, will mutate faster than the main one. 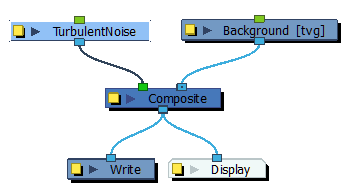 Complexity Complexity: The number of noise layers that make up the noise. Each successive layer has a higher frequency, resulting in a smaller noise effect. You can have up to seven passes. Increasing this number increases the depth and amount of detail in the noise. Use Complexity with Sub Scaling when the value is 1 or greater. Note: Increasing the Complexity results in longer rendering times. Gain: Controls the amount of opacity present in the iteration of noise. This also affects the layer when using Sub Scaling. With a value of 0, you will not see the sub noise. A value of 1 will show the sub noise just as strong as the main one. 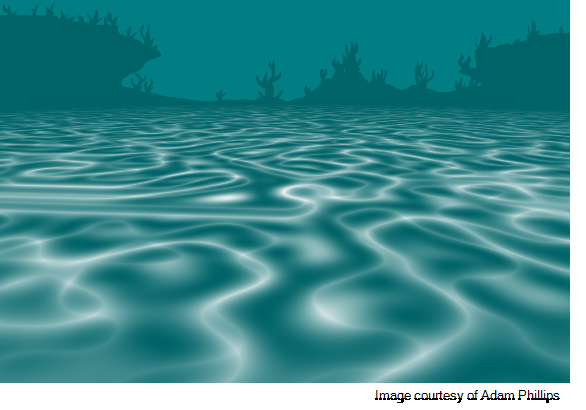 For example, with water ripples, a higher amount of Gain will reveal more ripple or subripples. Sub Scaling: The factor by which the main noise is modified at each iteration of complexity. A value of 1 make the two noises identical. A value of 2 makes the sub noise twice as small. The next iteration would be 4 times smaller. Values must be greater than 1. Depth: This value determines the composition order when the Z value of two elements is the same.